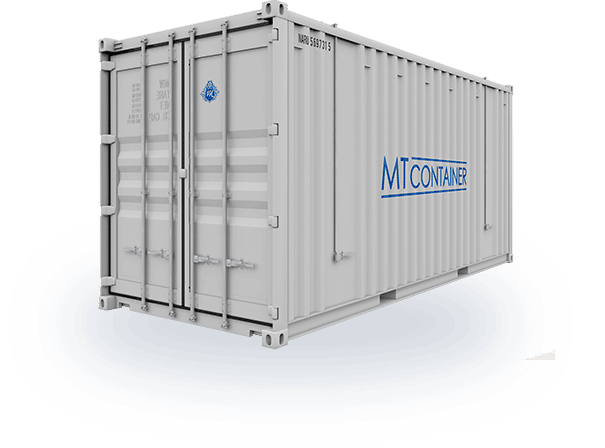 Headquartered in Hamburg, MT Container GmbH is your reliable partner when you need refrigeration containers, whether it be the sale and rental of containers or whether a container repair is necessary. Deep-freeze containers and insulating containers are used for the gentle storage and transportation of foodstuffs, but also for other goods whose quality is ensured based upon the maintenance of a certain temperature. Refrigeration containers are often used at sporting events and activities, trade fairs, festivals or on occasions such as Oktoberfest that require perishables. Frozen containers are particularly suitable for keeping drinks (wine / beer / other spirits) cool and keeping meat, sausages or other foods such as fruit, vegetables or cheese fresh at such events. Furthermore, coolers can be installed in hotel and catering sectors. meat and fish merchants or other major markets. Reefer containers also make food storage easier for hospital cafeterias and retirement homes as well as big supermarkets that have their own eateries. TIn addition, reefer containers can serve as cold storage for factories or farms. They are perfect for storing large products, frozen products and harvest surpluses at the proper temperature. 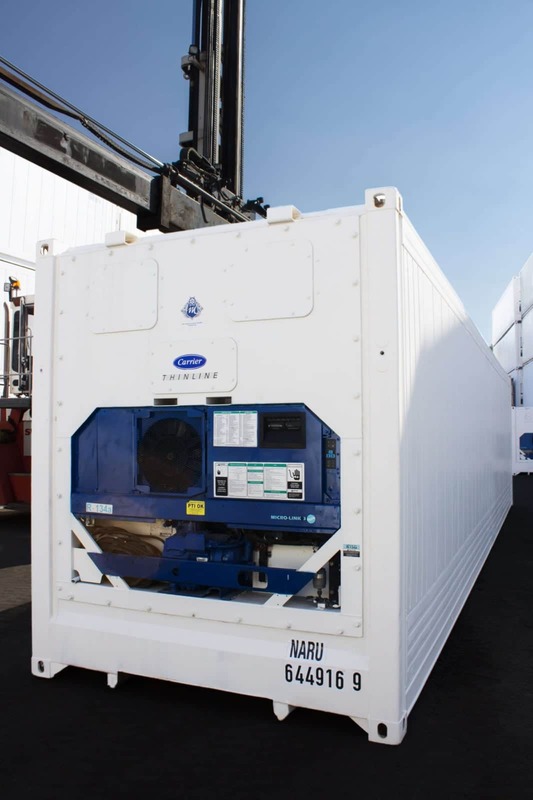 Furthermore, the refrigerated containers can serve as intermediary storage. nurseries, hunting, wine making and much more. Climate regulating containers play an important role in product development in the industrial sector. For example, refrigerated containers are the perfect area for functional tests of new products, since different climatic conditions can be simulated using the refrigerated unit. Whether in the production of carbon or tires, in the vehicle or machine industry, this use extends to several areas. As a suitable storage unit for easily affected medicines or chemical substances, a refrigerated room is perfectly fit for the job. Laboratory tests and long-term studies with, for example, bacteria or other synthetic substances, can be carried out optimally in cooling cells. A cooling unit allows the transportation or storage of temperature delicate perishables without having to interrupt the refrigeration chain. 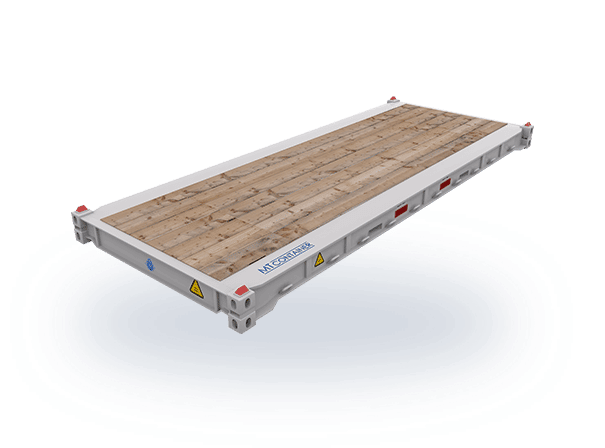 These flexible reefer containers can be used on a ship, train or truck, as well as be placed in a fixed location to increase storage capacities. A predefined inside temperature can be kept constant regardless of the outside temperature; the cargo is therefore always at the ideal temperature. 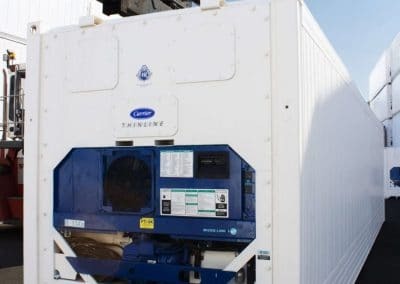 In addition to the temperature in the interior, modern refrigerated containers can also control the fresh air supply, air humidity, as well as air composition which aids, for example, the control of ripening processes. 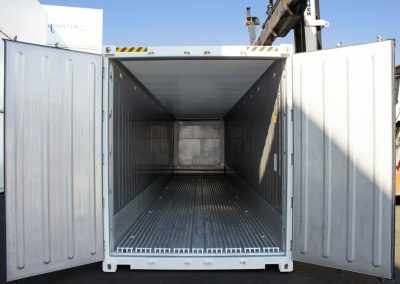 Aside from the protection against spoilage, storage and transportation in a refrigerated cell or insulated container have further advantages: the contents are at the same time protected from theft and the effects of weathering. 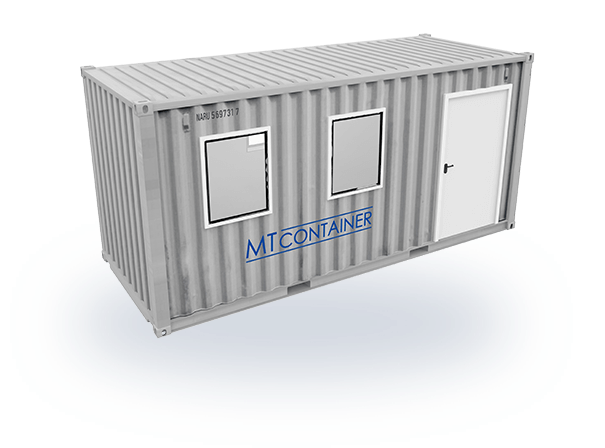 If no cooling or temperature control is required, you can also buy or rent lockable standard containers from MT Container GmbH in Hamburg. Refrigerated containers have the advantage over warehouses because they can be used very flexibly, whereas a storage warehouse doesn’t provide temperature regulation. 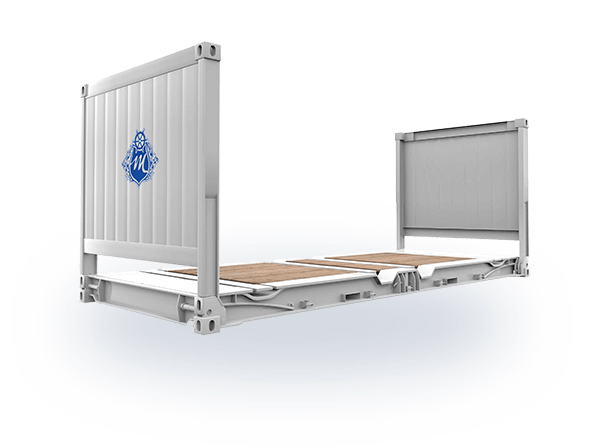 Therefore, if you urgently need a climate regulation container, we can provide you quickly with the very best solution..
HOW DOES A REEFER CONTAINER WORK? 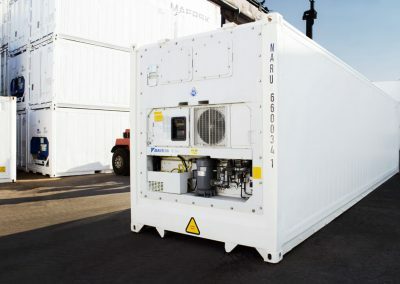 Modern refrigerated containers are divided up into the loading area along with the cooling unit. 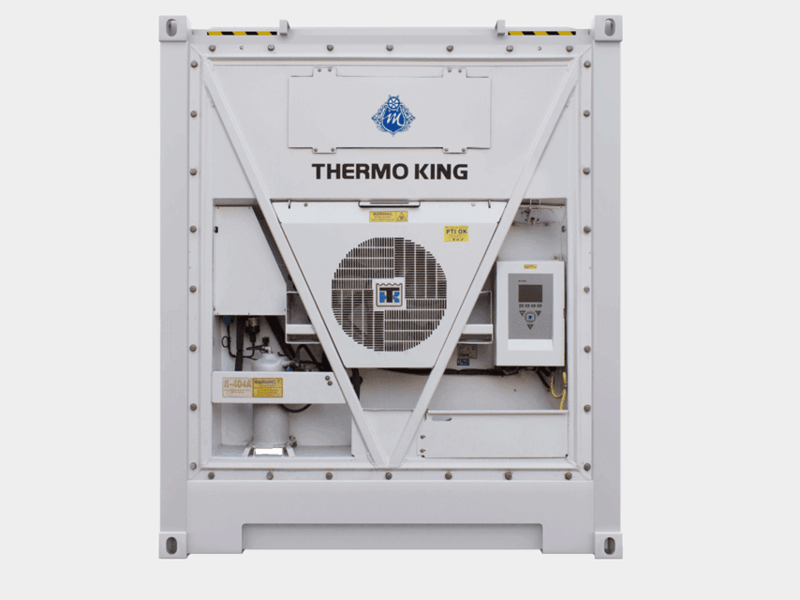 The cooling machine can be adjusted to a wide range of temperatures, which means that the containers are suitable for many applications, from deep-freeze containers to storage at a constant temperature of up to +30 ° C.
Reefer walls are heat-insulating. They usually consist of polyurethane foam between steel plates. Temperature sensors detect the conditions inside and control the temperature regulator. The exact technical function depends on the type of container. You can distinguish between actively and passively cooled units. Conair containers, which are now almost no longer in use, are brought to low temperatures via external cooling rods. The external cooling is achieved by the introduction of cold air from the outside. 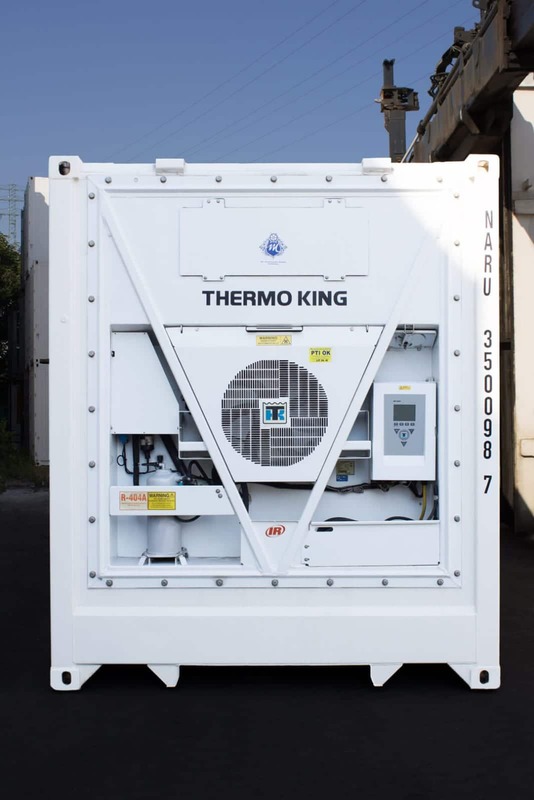 Today’s integral containers have an active cooling system based on a built-in cooling unit. This unit can be operated with electricity or via a diesel generator. 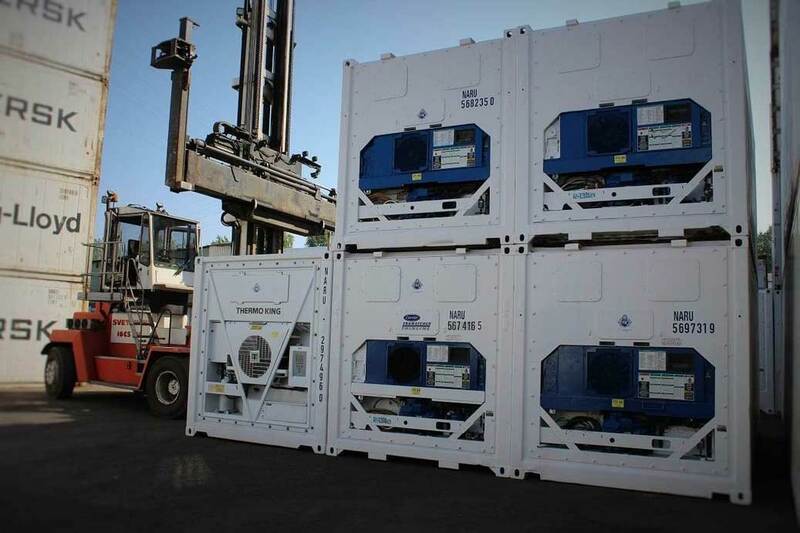 In addition, it is possible to operate a reefer container without a a cooling unit as an insulating container. In particular, former Conair containers are used so that the porthole openings are sealed with insulating panels. Integral containers with defective cooling units can also be used as ISO containers until they are repaired. These insulating units are able to keep a constant temperature and so that delicate perishables or machines are protected from outside influences. Even before the invention of refrigerated containers, it was possible to transport easily perishable foodstuffs and other temperature-sensitive products on refrigerated vessels over long distances. However, the shipment as individual cargo had numerous disadvantages. The goods were neither adequately protected against theft nor the weather. Towards the end of the 1960s, containers entered the maritime transportation sector. The great advantage of refrigerated containers over refrigerated ships lay in their flexibility and the possibility of maintaining the refrigeration chain even on the road or railway. From the beginning, as with other types of containers, a grid of 20 feet was used. 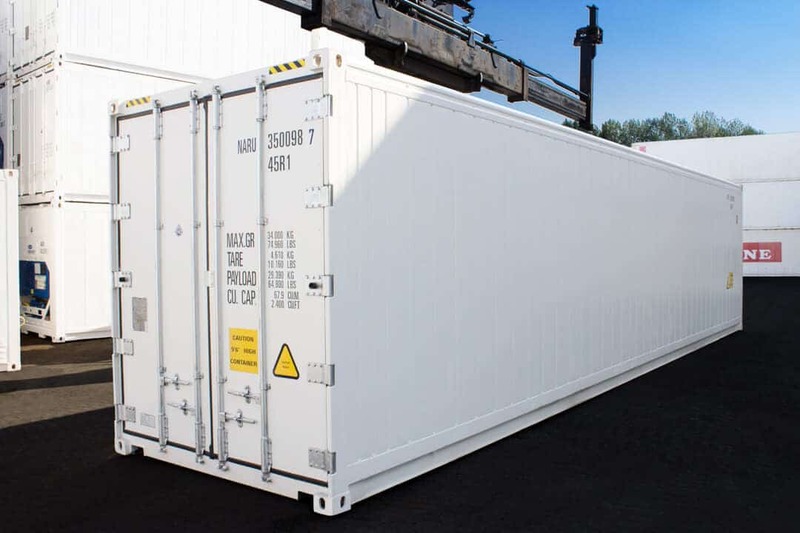 For this reason, containers with a length mainly of 20 or 40 feet are used today. 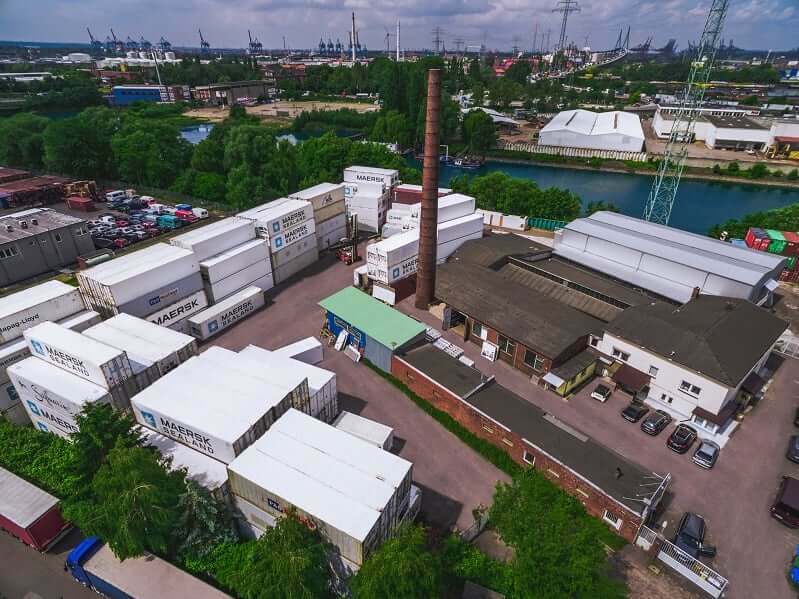 In the history of the reefer containers, two different types of construction succeeded in succession. 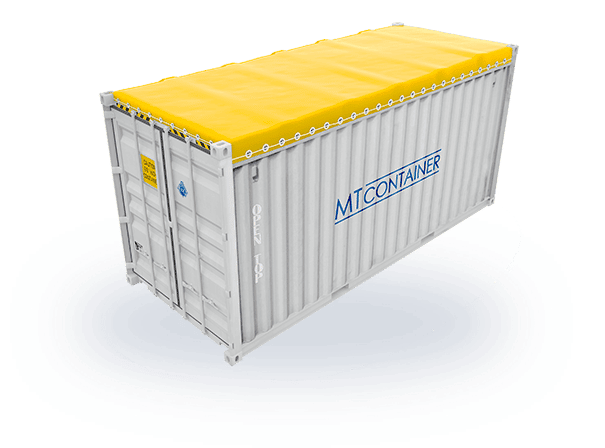 Until shortly before the turn of the millennium, Conair containers were the standard solution for transporting refrigerated goods on specially equipped containerships, i.e. the Conair ships. The other term “porthole units” derives from the openings of the refrigerated containers at their end faces, through which the exchange of air takes place. Cold air is supplied through the lower opening while hot air can escape above. The disadvantage of deep-freezers is thus their extreme inflexibility. This is because sea vessels, port facilities and trucks have to have cooling rods in order to guarantee an uninterrupted cooling chain. Therefore, porthole containers are no longer produced and are only available as needed. 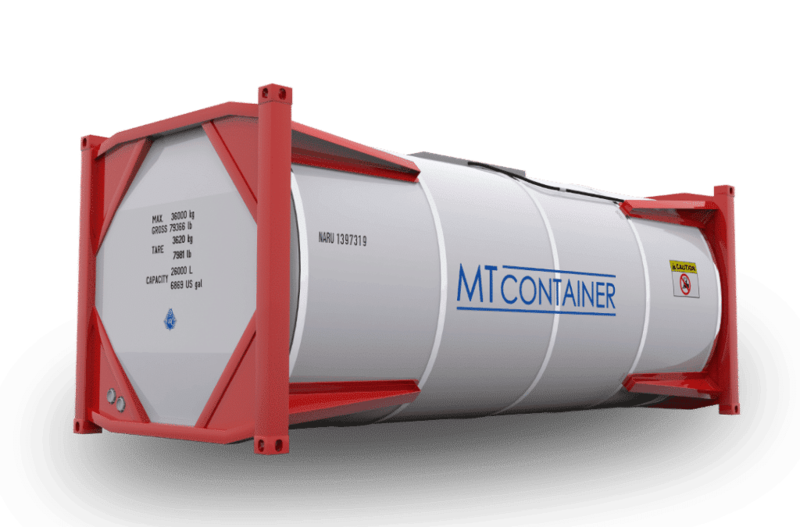 A more modern and far more flexible solution is the integral container, which has now largely replaced Conair containers. 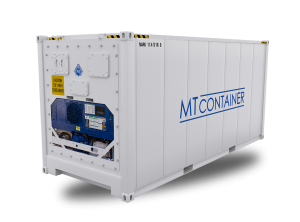 The integral containers each have their own, permanently integrated refrigeration unit, which is operated with electricity. 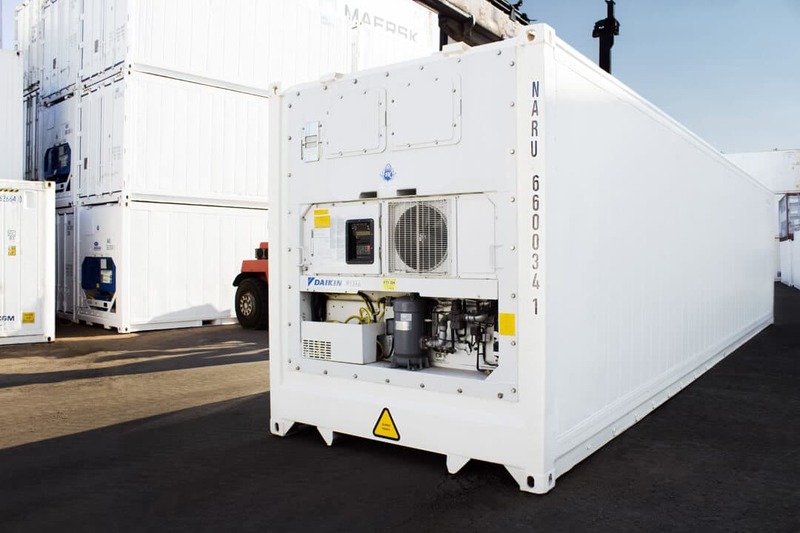 Since only a 400 V power connection is required for integral containers, they are ideally suited not only for transport, but also for cold storage at almost any location. This makes cooling cells a popular solution for storing food and drinks for several days at such events like trade fairs and festivals. “Reefer” is another name for refrigerated containers. The word is derived from “refrigerated container” and “refrigeration container”. There are no general technical differences between reefers and refrigerated containers. 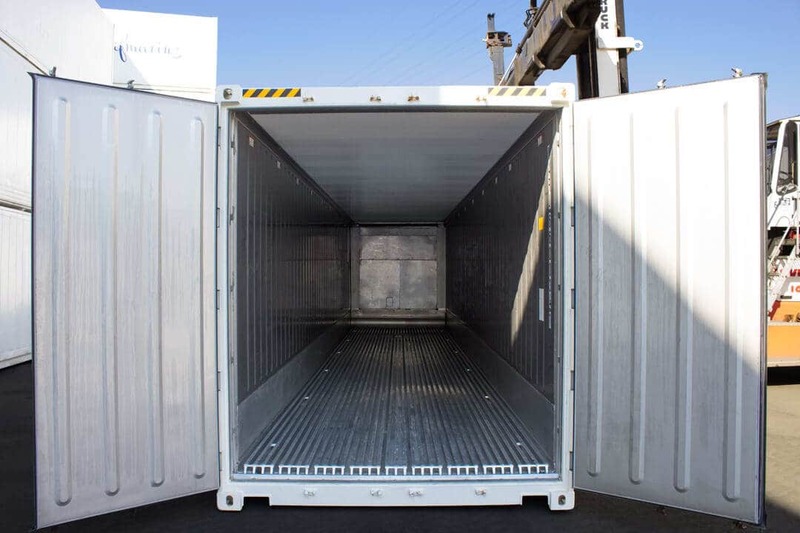 You can find our refrigerated containers in different sizes based on your specific needs. 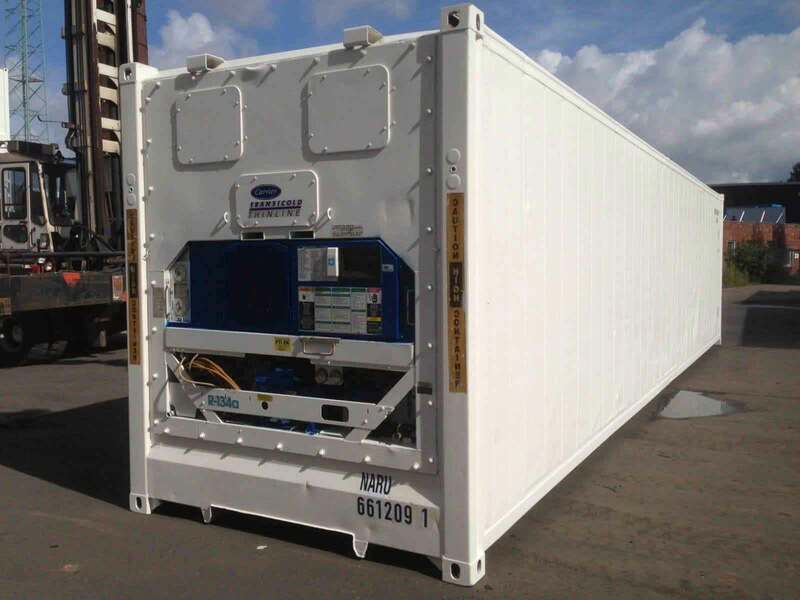 In addition, we ship the containers that you can buy or rent from us with your desired equipment. These include, for example, a strip curtain, as well as outlets and lighting in the interior. Theft protection is ensured through a locking mechanism. The refrigeration system contains a compressor that works similarly to a refrigerator. 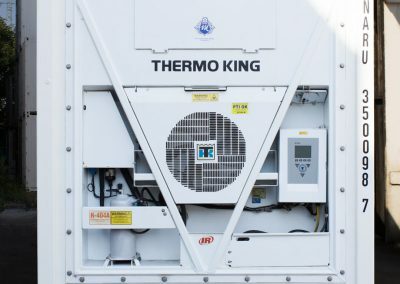 Our refrigerated containers use refrigeration units from well-known manufacturers such as Daikin, Thermo King or Carrier. If necessary, we can also supply you with separate units or provide repairs from an expert technician if you notice a problem in the refrigeration unit. At our company, you can rent or buy container boxes from Hapag Lloyd or Maersk. 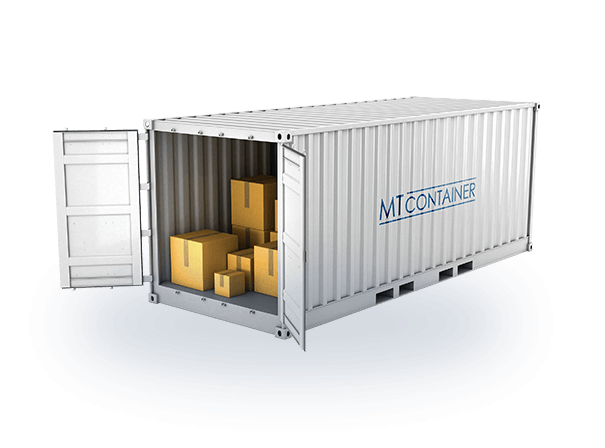 The containers consist of a stable and durable steel frame. Delivery is nationwide all over Germany, but also to other countries in Europe like Switzerland or Austria. 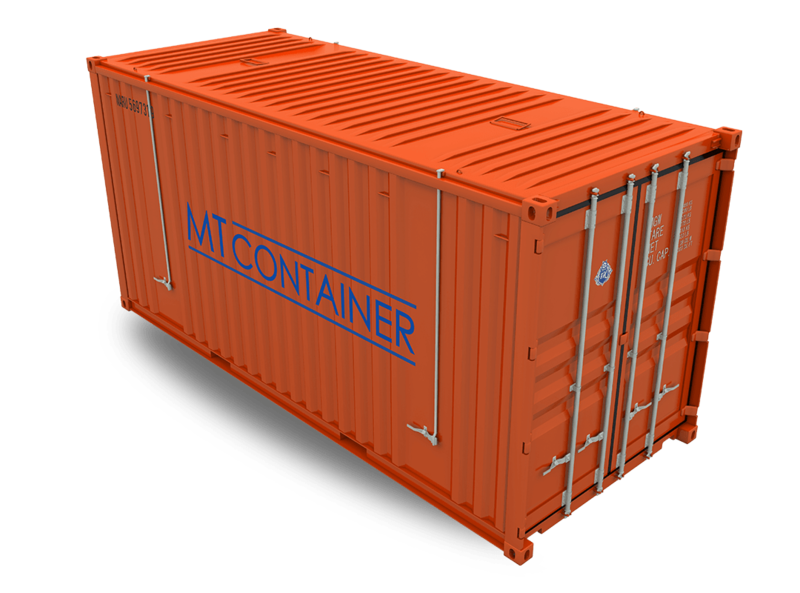 Our containers are also for sale on Autoscout24 and Ebay classifieds. We deliver deep-freeze containers in various dimensions as ISO containers. 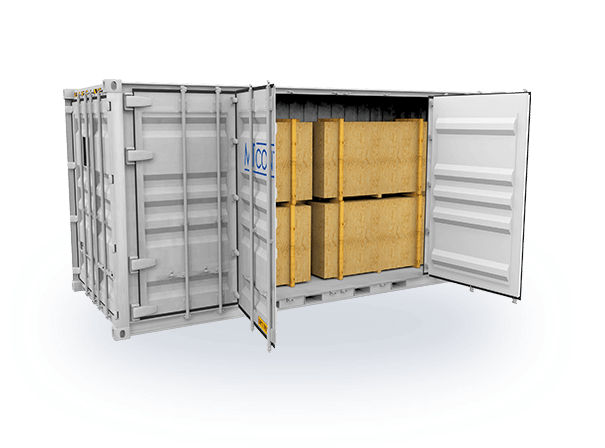 I40ft containers have in particular firmly established themselves in international transport. Depending on the intended use, the units with a 20ft length are a sensible alternative, for example, if you need a place to store frozen food and only have limited storage possibilities. More and more often customers seek high-cube containers because they offer a noticeably greater load capacity at a little more height. Our dimension table informs you about the dimensions in width, length and height, as well as the inside dimensions and the empty weight of the container. 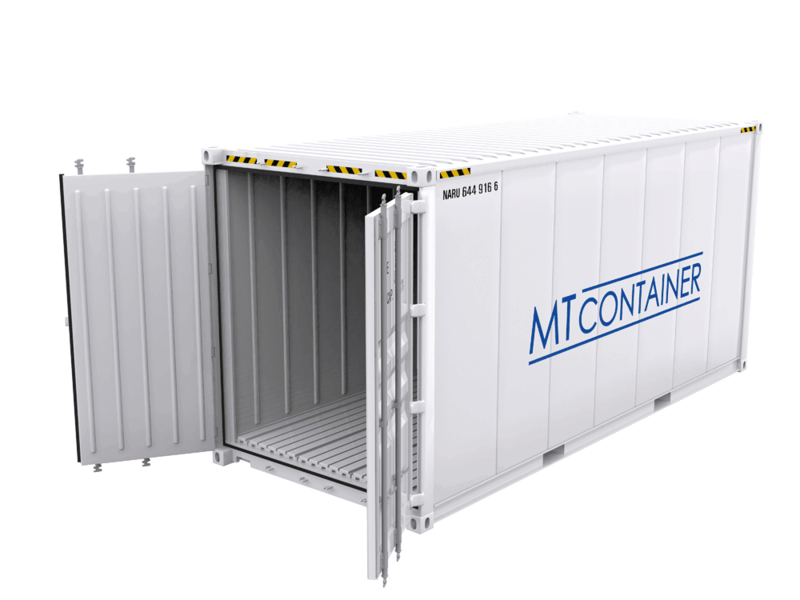 MT Container GmbH is not just a reliable and competent partner for refrigerated containers. 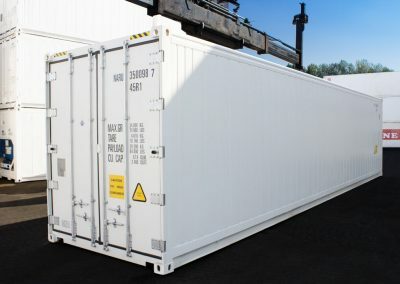 In addition to reefer containers and cooling cells, we are your contact for a whole range of other container services. If you need it, we also offer swap bodies. 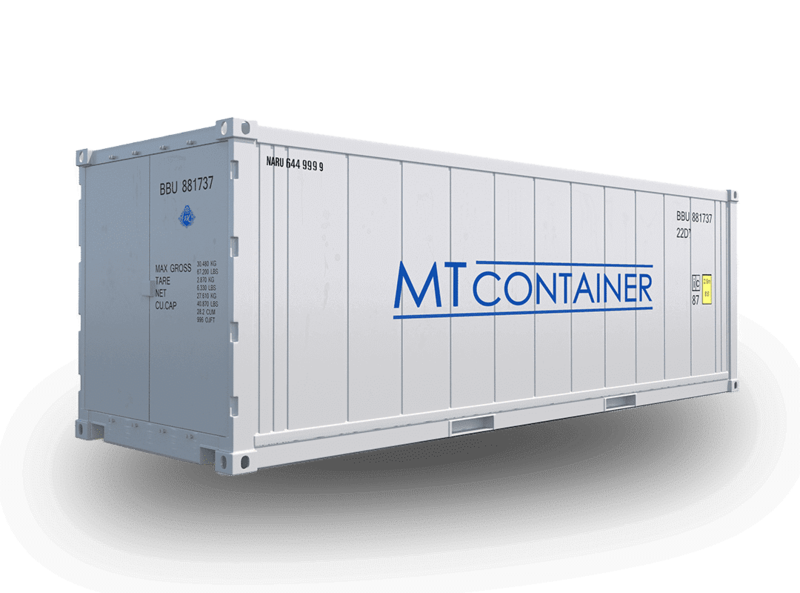 You can also buy or rent maritime containers with or without a cooling unit. We offer you an all-round carefree package with the PTI (Pre-Trip Inspection) for your containers. 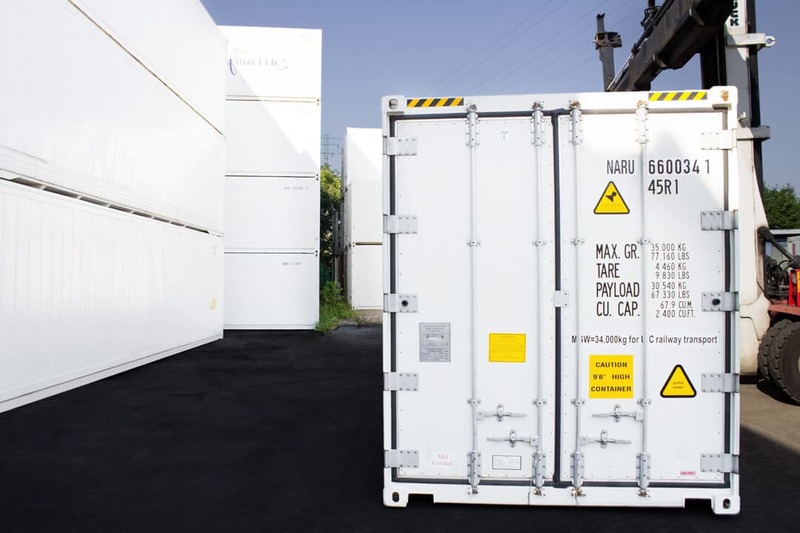 Overall, we ensure that all containers delivered by us, not just those that are used exclusively for refrigerated storage, but all containers meet the legal requirements. This means that overseas containers in particular have all necessary approvals and certificates..